After attending dozens of photography seminars during his career, Eddie Adams had an idea. He imagined a kind of “foto farm”: a place where he and his friends could share their work with each other and with the country’s most talented young photographers. The participants would be chosen by their demonstrated skills and not by their ability to pay a fee. Simply, they would be among the best and most talented of their generation. In this vision, Eddie would be a teacher and a student, a host and a guest. He invited Nikon, Kodak and a dozen publications to partner with him, asked his colleagues and friends to come to his barn in upstate New York for Columbus Day weekend, and received more than 1,000 applications from aspiring students. 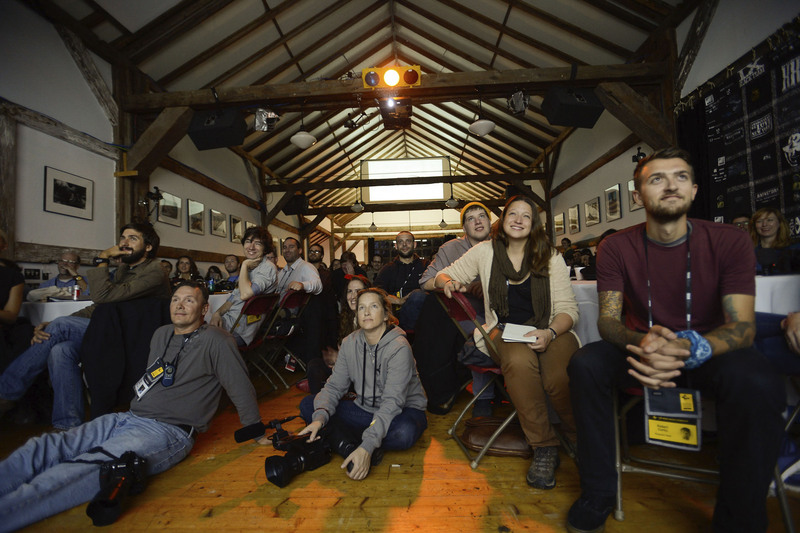 Teams of ten, led by a photographer, an editor and a producer, shot assignments, reviewed portfolios and heard speakers. (Notably, Eddie mandated that the photographer be in charge with the editor reporting to him/her.) 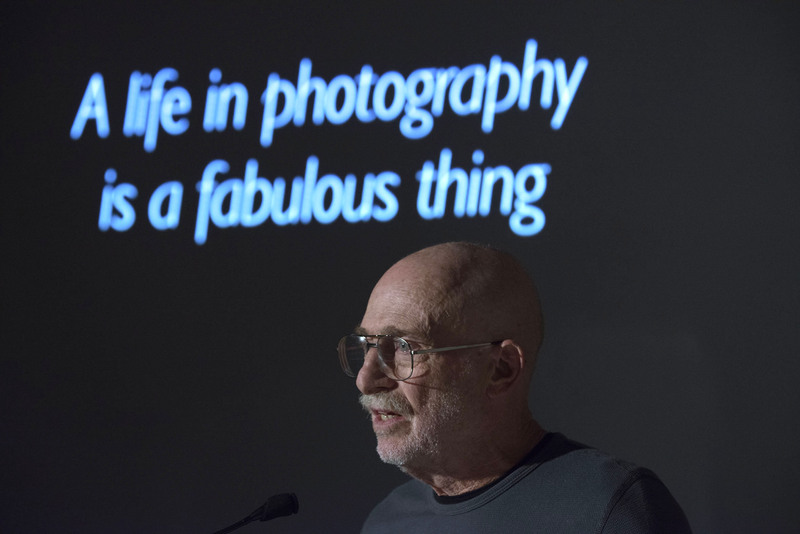 Seasoned professionals and beginners alike listened in awe as Eddie’s heroes spoke — Alfred Eisenstaedt, Bill Eppridge, Carl Mydans, Gordon Parks, Joe Rosenthal, Nick Ut, among others. He intended it to happen only once. The energy around that first workshop was too considerable to ignore. Nikon, Kodak, Eddie and dozens of folks at every level all signed on to recreate the excitement and experience for a new crop of young photographers the following year. And again. And again. And again. Some things have remained the same over the workshop’s 30-year history: Participants are still paired with leading photographers and editors and divided into ten teams, each with a unique assignment. The team leaders are always photographers and still outrank editors — at least during Columbus Day weekend. Over four days the students document their subjects while also learning from the industry’s most accomplished professionals. 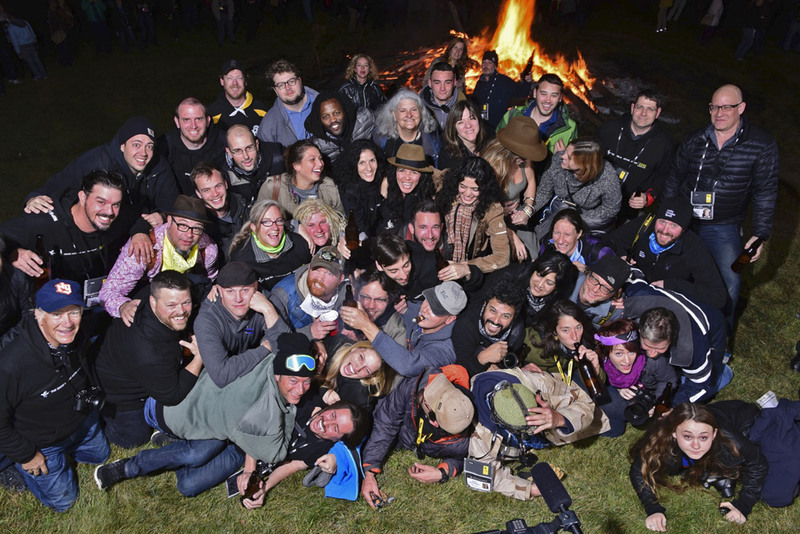 The thrill of arriving at the barn on the top of a hill in upstate New York to attend Eddie’s visionary “foto farm” still draws the industry’s top names eager to volunteer their time and expertise. Of course, some things have evolved since that first gathering. The Black Team — the staff of volunteers who make the workshop work — was formally organized in 1992, and are responsible for everything from mowing 60 acres of lawn and feeding 200 people to managing logistics and team workflow (among two dozen other crucial tasks). That same year the first stereo system was installed in the barn. Over the years AV equipment of all kinds have been updated again and again, including more than 3000 feet of Cat 6 Ethernet cable laid in 2005. The first all-digital team, led by John White, was formed in 1995. By 2003 half of all the teams were shooting digitally and in 2004 they all were. At the first workshop, students were given 20 rolls of film each, all processed by Kodak over the weekend. Today they shoot collectively close to 100,000 images. More than 40 students have returned in team leadership and speaker positions and dozens more as Black Team members. They bring with them countless lessons learned first in the field and taught first to students at workshop. Industry changes are reflected in real time by innovators themselves. The Eddie Adams workshop continues to be the only tuition-free forum of its kind, with 100 shooters handpicked from around the world based solely on the merit of their pictures. For 30 years, the workshop, with chief support from Nikon, has helped shape the future of photojournalism. It has an unparalleled history of cultivating quality, exchanging ideas and building relationships. These 30 alumni enrich that tradition.